Spread trading futures is less risk than trading outrights and can help traders grow their accounts more steadily than outrights alone. Traders looking for ways to reduce risk in futures positions should seriously consider spreads. In times like these, no one knows when the next Greece is going to happen. Futures spreads can help protect your risk against unexpected events and volatility. Futures spreads can reduce leverage and allow traders to take positions without the need for tight stops that will most likely just stop them out. Futures spreads allows traders to take advantage of medium to long term moves with less capital. This webinar will be presented by Saul Knapp - Saul has 20 years Trading and Risk Management experience. Saul started his career on the LIFFE Floor as a runner and progressed through the ranks to become a trader in the 10yr German Government Bonds or the Bunds as they are better known when he was 18 years old hie full Bio is HERE. 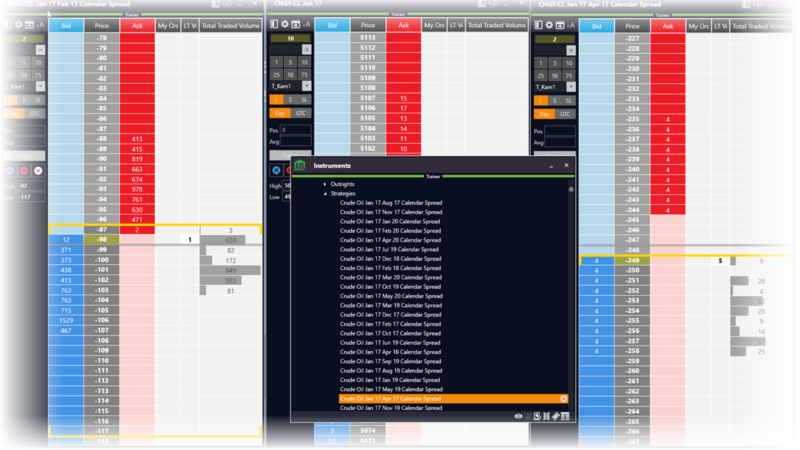 Lean how to use the NEW MarketDelta Desktop for Trading Spreads (Based upon the CQG Integrated Client System). Learn why this will be the platform of choice for trading spreads. Examples of reducing margin with spreads. Getting legged and execution strategies in MarketDelta Desktop. Examples of Commodity Spreads with products likeCocoa, Coffee and Energy. Market Profile versus Candlestick\Bar charts for Spreads. Costs involved in spreading futures. Queue position and spreading examples. DMA (Direct Market Access) via specialised FCM's Versus Retail broker setups. What a lot of independant self backed traders are not aware of is that Spread Trading Futures dominated the industry over the last 20 years and the majority of professional traders and firms focus on spreads rather than outrights. However as Saul and Kam came from this environment they have recognised the massive gaps in knowledge and an understanding of the reality of professional traders versus the independent retail traders.